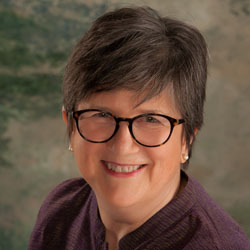 FAQs - Portland Jungian Analyst - Carol Walnum, MA, MBA, LPC. I will let you know ahead of time when my office is closed for major holidays, my own vacation times or for continuing education courses or conferences that I attend. At your appointment time, knock on my door. I will greet you. We will immediately go into my office. During the first few minutes of our first session, I will give you my policy, consent, and personal disclosure statement as required by the Oregon Board of Licensed Professional Counselors and Therapists. I am ready to respond to questions you have. We’ll begin the conversation where you wish to begin. I will listen and learn more about what brings you to therapy. I’ll be determining whether or not my training and experience are a likely match your needs, and whether or not I feel I can be of help to you, or if I need to refer you to a licensed professional who is more appropriate for you. You will also be deciding whether or not you feel you want to work with me. If you feel it is not a match, I will refer you to another licensed professional. Within the first few sessions, we will discuss how long your therapy is likely to last, its risks and benefits, and what we will be doing during the sessions. I will encourage you to ask questions about any concerns you have at any time during our work together. What is Jungian Analysis and Jungian Therapy? Jungian Analysis is a well-known, serious, longer-term form of mental health therapy offered by a certified Jungian Analyst. It is a process of focusing on matters of the mind, body, heart, and one’s soul which are encountered in the turbulent journey of life. As a process, it is based on theory and deep training, which take time for the practitioner to learn and to apply. The ability to practice as a certified Jungian Analyst reflects an institutionally validated capability from specific training in Analytical Psychology by specific Institutes. Analytical Psychology is the psychology theory developed by the Swiss psychiatrist Carl G. Jung. It takes a long time to become a Jungian Analyst and to handle its theory and application in a clinical setting. The approach values people’s ability to progress in their healing in spite of all their difficulties. It seeks to expand consciousness and to expand the personality. Jungian psychology values the human unconscious. We see the unconscious in dreams, daydreams, slips of the lip, repeated relationship patterns, what we “put” or project on other people, and in the repeating patterns or unconscious decisions made in our life. The unconscious also holds trauma and repressed material. I am extensively trained and experienced in helping people with the courageous work of looking deeply into one’s inner self. Together, our goal is to help you find and absorb present, but unexpressed parts of your personality, and through this exploration to become a more aware and distinct individual. Each person’s journey with his or her unconscious is an individual endeavor. I join others who call this process doing our own, ongoing work of healing and differentiation. Through this process of honoring the unconscious, the unique individual is awakened. Jungian therapy is a shorter-term therapy, focusing on getting below the surface of the presenting symptoms, for example, an anxiety. In working to get “below” the symptom, we can work to improve a person’s mental health surrounding the issue or issues. This is consumer advisement. A Certified Diplomate in Jungian Analysis, such as myself or other Jungian Analysts in Portland, have engaged in post-graduate study for many years beyond their master’s or doctoral degrees. We have taken hundreds of hours of personal analysis, and in the case of the C.G. Jung Institute Zurich, engaged in long-term, demanding seminars as well as intensive group and individual clinical supervision in an international context. I was also required to research, write, and defend a thesis on an original topic. A Jungian Psychotherapist or a Jungian-Oriented Counselor is not a Jungian Analyst. If you specifically want a trained Jungian Analyst or to know that the person working with you understands the complexities and challenges of Analytical Psychology (the basis of Jungian work) and its applications, look at my qualifications and background or go to pnsja.com/our analysts.htm for more choices.